Whether you wish to enhance your Tofino experience or are looking for a fully catered all-inclusive Yoga & Surf retreat, Tofino Yoga has you covered! We have six different packages to suit your needs because no visitor is alike! All our Tofino Yoga Retreat packages are available year round, unless listed otherwise. Can’t make it during the dates listed below? No worries! Simply contact us with your preferred dates! 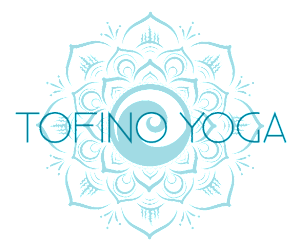 We are happy to customize our Tofino Yoga Retreats to your schedule; granted that there is a minimum of 2 people in your party. Travelling alone? No worries, we will cater to any of our Tofino Yoga Retreat to a single person for an additional $99/per retreat. Gift Bag from Tofino Soap Co.
Can’t make it during the dates listed above? No worries! Simply contact us with your preferred dates! We are happy to customize our Tofino Yoga Wellness Retreats to your schedule; granted that there is a minimum of 2 people in your party. Travelling alone? No worries, we will cater any of our Tofino Yoga Retreat to a single person for an additional $99/per retreat. 5 nights | daily beach yoga | surfing lessons | SUP yoga | accommodation | meals| coastal immersion…and SO much more! You made it to Tofino; the Surf Capital of Canada and you are STOKED to become a surfer!? Our Friends at Surf Sister Surf School are hosting many multi days surf camps. Whether it is for their Weekend Warrior Surf Camp or for their 5 consecutive days Progression Surf Camp, they have you covered! Now, becoming a surfer is hard work, therefore it is OUR job to can enhance your experience by offering you surf inspired Beach Yoga to soothe your muscles and work on your balance. You will appreciate it!!! To register for any Surf Sister Surf Camps; you must contact them directly! You will find a link for your Beach Yoga experience on their site! Copyright © 2019 Tofino Yoga. Powered by WordPress. Theme: Accelerate by ThemeGrill.